There’ll be no drama with the Dollar Llama, just wad and wads of prizes and game credits! Find your Zen and float all the way up to gaming Nirvana with the help of the Dollar Llama in this fun, exciting and visually impressive slot game. 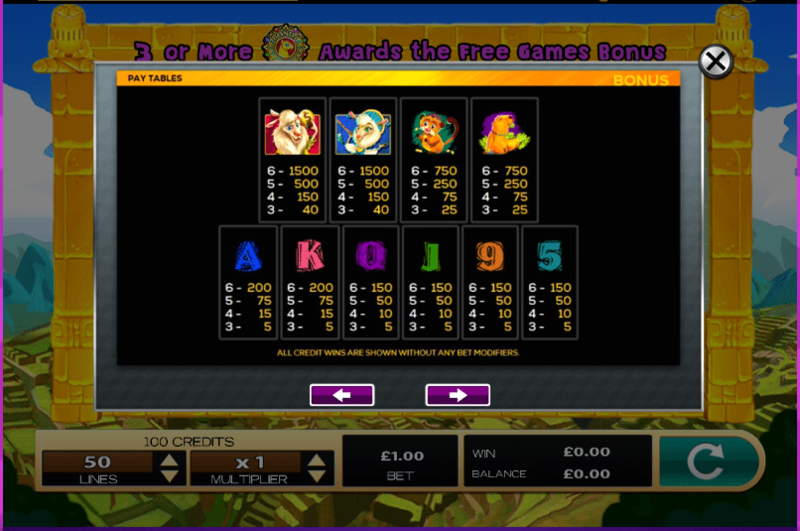 A jewel in the land of uk online slots. In this game, you can become the explorer you’ve always dreamed of as you delve deep into the depths of South America and explore the mountain ranges and meet the cute, fluffy and lovable llamas that inhabit the exotic land. The land is both ancient and sacred and is protected by the llamas who guard the fortunes hidden away in the landscape, but they just might give you a helping hand, if you bat your eyelashes and give them a well-earned scratch on their fluffy ears. Dollar Llama is a fun, tongue in cheek game with a snazzy and modern theme that will keep you entertained throughout the gameplay. The slot game comprised 6 reels and 4 rows and is played across 50 pay lines, which is more than enough pay lines to keep its players spinning until their heart's content! 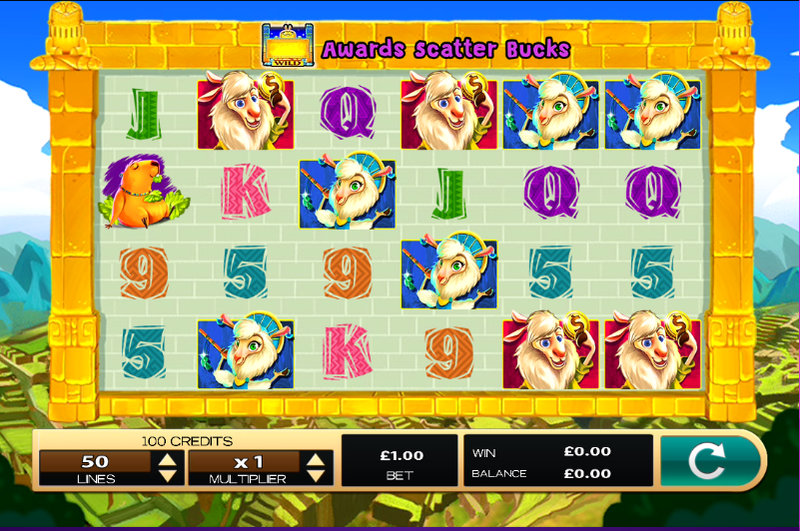 If you are all set to start, let's play this top-rated UK slots! The symbols in this game are in keeping with the theme and there are a total of 10 symbols, so keep your eyes peeled! You will encounter animal themed higher paying symbols on the reels including a chipmunk and a monkey, both of which will pay out anything between 25 x and 750 x your stake. Be on the lookout for the two stars of the show, the two llamas, who are the highest paying symbols in the game, and rightly so, since they are the all-knowing, all-seeing, all-singing, all-dancing, dollar llamas. The llama couple both pay out between 40 x and 1500 x your stake if you land between 3 and 6 together. The golden llama is the wild symbol in this game and it is limited in its appearance, you will only find it on reels 2, 4, 5 and 6 and like other wild symbols in other games, it will replace any symbol other than the scatter symbol. If you want to flash the cash and play across all of the paylines, you will trigger an interesting and lucrative feature, the scatter bucks feature. There is also a free spins feature which will be activated, giving you up to 7 free games if you land 3 or more llamas on the reels. We are stepping into a new era of gaming with social online slots becoming increasingly popular with players who prefer to play just for the fun of the game and to win playing credits rather than cash, which is exactly what is on offer with the Dollar Llama. Simply put, the more you win, the more features and levels you unlock throughout the game, which makes for interesting and exciting gameplay! The gameplay is simple in this game and the 6 reel game makes it interesting and entertaining than your average 5-reel slot game.